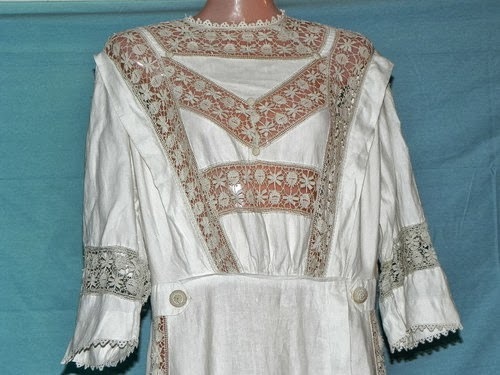 consists of this very special, rare, Edwardian (1902 -1919) full length dress. It was purchased along with other pieces from a great niece of a prominent New York family. 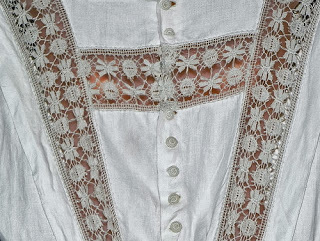 There are several pieces from this estate that were never worn. This is one of them. 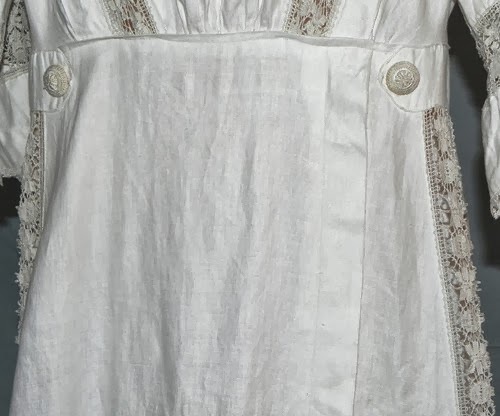 There is another very special piece I have another very special piece listed right now.This could be a museum piece, wedding dress or as they call it in that era, a lawn or tea dress. It was made over 100 years ago, but looks and feels like it was made yesterday. 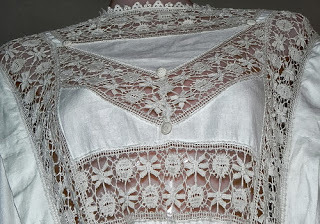 The dress is very high quality and made by an expert seamstress. It is a white linen and is embellished with very fancy floral embroidery. 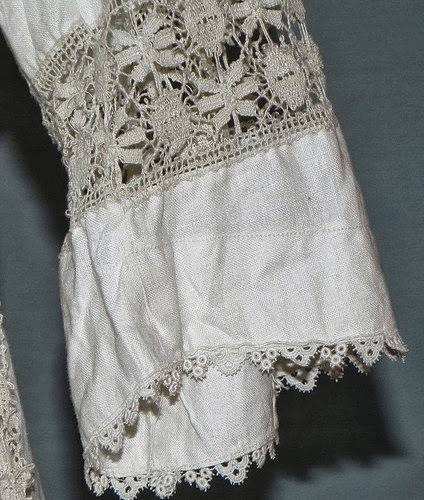 The embroidery makes this dress so exceptional. 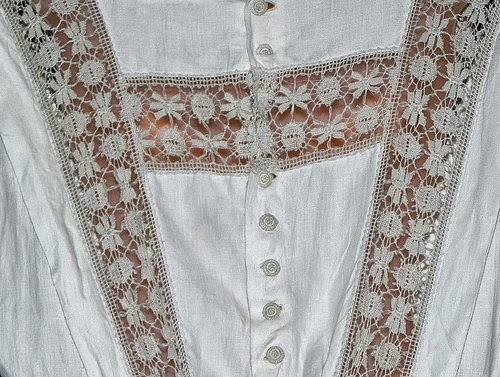 It surrounds the neck, covers the bosom, back and runs down front, back and sides of this dress. 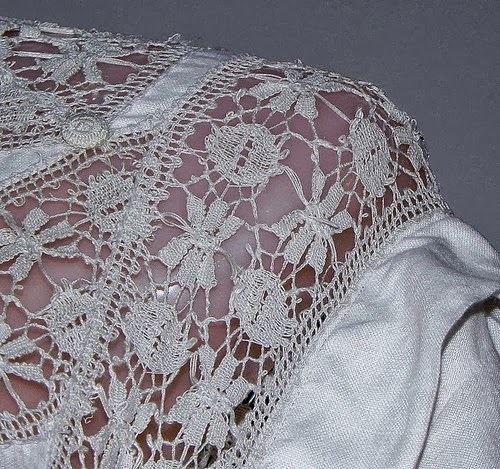 I have inspected the embroidery over and over and I can find no flaws. It has fancy, delicate rows of floral design, so detailed and so very feminine. I took many photo's to best describe this dress. Every detail is shown to you. Look the photo's over carefully. My manniquin is small and petite and only half a woman. The dress is approximately medium to medium large. Take this into consideration when viewing the photo's. Just imagine how it would look on a real woman! Wow! 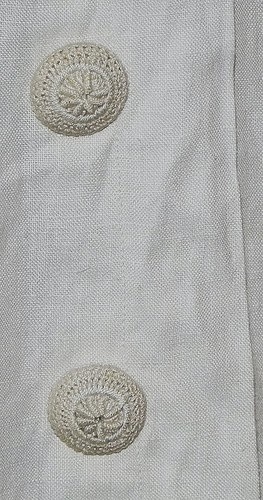 Length from top shoulder to bottom of hem: 57 in. Width from underarm to underarm: 19 in. Waist: 27 to 28 in. Length from neck to waist: 16 in. Sorry, seller, but that's not a pigeon front. It's gathered at the front but it's not poofy.